First three letters of your last name, first letter of you first name, and last four digits of your student ID number. Access: Computers, Printers, Photocopiers, Go Print, WiFi, & Off Campus Library Databases. How many items can you check out? Five books in each subject area and ten books total. You can access your library account in order to renew items, place holds on items, and check your balance. On the library catalog page, click My Account and enter your student ID number. The default password is your 4-digit PIN, the month and date of your birth. You can place a hold on a book at LAHC or another LACCD library (excluding reserve and reference materials) by clicking the Place Hold link on the catalog screen and logging into your library account. If you are requesting a book from another LACCD library, expect the item(s) to arrive no sooner than 1 week from day of request. If you place a hold on a book that's not checked out, you might have to wait a day or two, so it's quicker to come and get the book yourself. You may also personally go to the LACCD college that has the item and check it out with your LAHC student ID (excluding reserve and reference materials). Available on the first floor of the library and Learning Resource Center (LLRC). Bring a USB Flash/Travel Drive to save your work, the computers will not save any work to your desktop or documents folder. Please note: the computers, printers, photocopy machines, and circulation desk power-down 15 minutes before the LLRC building closes. LAHC offers free wireless (WiFi) access to all registered students, which requires the student login information. Click on the link below for additional information if needed. Add value (cash only) to your student account for printing and photocopying by using the Go Print machines. To cash out the balance on the account, students must visit the Business Office. LAHC offers wireless mobile printing to all registered students. Available for individual or group study. Each student must check-in individually with valid photo ID at circulation desk before entering the room. For use only by current students and must be reserved using a valid @student.laccd.edu email address. NO food or drinks, besides water in a closed screw top bottle, are allowed in the study rooms. Use only the whiteboard markers we assign. Study rooms may be reserved up to 3 hours per group, with a 2-hour gap between reservations. 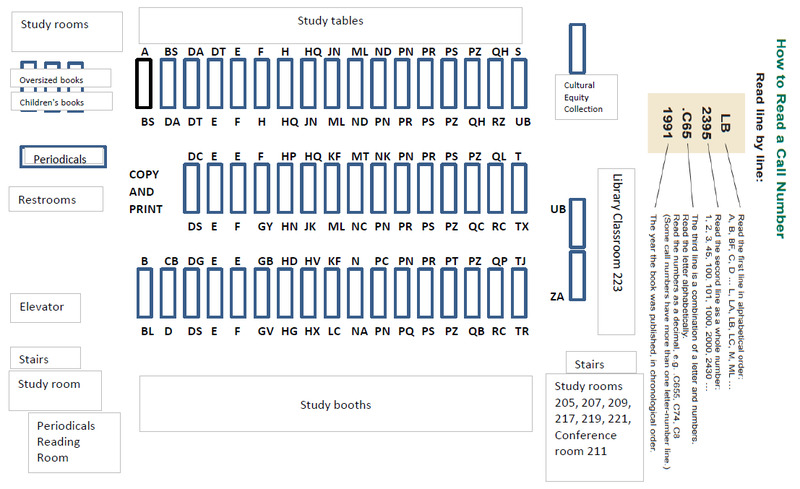 Choose a room that corresponds to your study group size. Violation of these rules will result in loss of study room privileges for 4 weeks. 12 seat conference room with whiteboard. All campus committees, ASO committees, and registered student clubs can book the room for meetings (not for studying or tutoring sessions). No food or drinks allowed, except for water bottles with screw-tops. The LAHC Library mission is to provide appropriate information and learning resources and instruction in how to identify, locate, and evaluate such information and resources. These services play a major academic role as an extension of the classroom and are an integral part of the learning process. As a result of attending library instruction sessions, students will understand library classification and its relationship to location of materials within the library. As a result of attending library instruction sessions, the student will be able to find periodical articles and monographs relevant to the topic he/she is studying. As a result of attending library instruction sessions, the student will be able to identify bibliographic elements to use in reference lists conforming to standard citation guidelines. As a result of attending library instruction sessions, the student will be able to evaluate information sources as relevant to their topics to use in reference lists conforming to standard citation guidelines. Students will use a variety of sources to explore a topic in order to produce documented material directed to a specific audience. The library invites faculty, staff, and students to use this form to recommend books and other materials to add to our library collection. Every request will be considered. Located on the first floor of the Library and Learning Resource Center (LLRC) building. The LRC provides students with free tutorial and learning support services in select subject matter areas, as well as workshops related to study skills, research paper formatting styles, math, and navigating the Etudes learning platform.